Entries for the 2015 Blast Off opened on Friday June 12th and there’s already only a few spots left. This year Barton Lynch and the team celebrate 10 years of junior surfing development through the Hurley BL’s Blast Off presented by beecraft. Over this time the growth and development of so many young surfers, some of whom are now competing on the world stage, has stamped this family friendly all fun surfing festival as the one you want to begin in and many who start when knee high go through all divisions of age groups before graduating to waves elsewhere. BL is also MC with Wendy Harmer at the stupendous International Day of Surfing Celebration at Harbord Diggers on June 19th, the big annual fundraiser for the Surfrider Foundation to support their ocean and beach saving works. The celebration kicks off in the afternoon with barefoot bowling and finishes with the great Celibate Rifles. We spoke to Barton Lynch yesterday to gain a few insights into the 10th anniversary of Hurley’s BL’s Blast Off and also what’s happening at this year’s Northern Beaches International Day of Surfing event. Entries have opened for the 2015 Hurley BL’s Blast Off; what’s coming up in the 10th year of this fantastic youth surfing festival BL? We’re all get very excited and can’t believe it’s 10 years now – you realise how time really does fly. Entries are now open online and are close to full already in all divisions, which is great. We had a big Wait List last year and will be creating these again this year and if we can get kids in then we’ll do our best to do that. The format will be pretty much business as usual with regard to the event. We have a few new innovative ideas in and around the surfing format that we’re going to introduce when we get a bit closer. I think one of the most exciting things this year is that Bob Hurley himself is going to come out for the event and we’re hoping Bob will come and judge Blast Off Idol. We will also open the 2015 Hurley BL’s Blast Off with a traditional Smoking Ceremony this year, so that will be very cool. Wonderful - will Bob be bringing cake? We’ll be having some kind of cake, that’s for sure along with all those other little fun events we have as part of Blast Off each year, the Sunday Afternoon Streetboard Skateboard Coaching Session, the Monday afternoon barbecue will be on again too. The fact that there already only a few places left underline what a popular and great event this is for young surfers – where did the idea spring for doing this first spring from BL? Years ago I realised that when younger surfers go to a surfing event and compete in a heat they’ll get a series of scores – you know, 5.7 and 4.82 or example for a total of 10.52, and ‘you came 5th’ – and that’s the information they get. I’d gone through that being involved in sport all my life and I still don’t really understand it in one sense. What I felt, particularly with young children, is that they didn’t need to be scored, they didn’t need to be judged like that – they needed information. They needed to go out and surf and then be given direction through information on how to surf better and how to compete better. The current system seemed to be based on what the adults did and wasn’t tailored in any way towards what the kids need. What we did was tailor and design something that was for kids to help them learn and grow and not put them in a pressure situation but instead create a fun environment to make the whole experience something through which they can grow and keep it an enjoyable one. International Surfing Day is coming up and this year there’s a great event being run by our local Surfrider Australia chapter at Harbord Diggers on June 19th which you will be MC of BL – what is going to be happening? Yes, I’m doing that too this year. Wendy Harmer and I will be MC’ing the evening celebration but the event begins at 4 in the afternoon with barefoot bowling and finishes with the great Celibate Rifles. Have you seen the sandstone sculpture by Mick Purdy yet? No, not as yet but this will be added to the Freshwater Headlands Surfers Walk of Fame. There are 17 names on the sandstone board apparently – including Nat Young, Pam Burridge, Mark Occhilupo, Layne Beachley, Joel Parkinson, Mick Fanning, and Stephanie Gilmore. This whole event is signalling a relationship between the Surfrider Foundation and the Harbord Diggers and their committee to maintain and upgrade that monument to the Duke in this area. The Harbord Diggers have made a long term commitment to surfing and the Surfrider Foundation in particular. The Surfrider Foundation do amazing work and are considered a pretty iconic organisation while the Harbord Diggers is regarded in our community as a premier organisation and have again come to the party and put a lot into this function. This is also the Surfrider Foundation’s major fundraiser for the year. What does the Surfrider Foundation do with the funds they raise BL? They run beach clean-up campaigns around the country. They have an Endangered Waves List where we fight battles for surf spots on behalf of those who live in and enjoy these areas so their integrity is kept. There is also a Rise Above Plastics campaign that is ongoing too as this form of pollution is destroying our oceans. If people go to Surfrider.org.au they can find out more about these campaigns and how they can get involved. And what have you been up to just recently BL – I saw a great photo of you catching a wave in the Pacific somewhere – what’s that about? Holly and I recently did our annual trip to the Maldives as part of the Surf Coaching Clinic we run each year – Holy does yoga with those who go on this trip and I do the surf coaching so everyone gets a whole experience and comes away with some great ways to approach the way they want to live and surf. Some people call this a Legends Surf Trip. We had 13 great people along this year and do this through the The Perfect Wave Surf Experience Travel Agency. We all had a fantastic time and caught some great waves. Sounds great. Any last words on 2015’s Hurley BL’s Blast Off - apart from 4, 3, 2,1 – Blast OFF!? Yes, we’ll be doing that each morning! I dare say we’ll have our son Lion, who will be 13 months by then, playing on the sand with us this year, so it will be Lion’s first Blast Off too – which will be pretty cool for us. Another great Family orientated event this year then – the whole team back on board? That’s right. It’s really not about winning or losing, it’s about us all getting together as a community and having a great time. We’ve got all the great same sponsors again this year doing their utmost to support the event so we’re looking forward to September and excited that Bob Hurley is coming out to be part of this 10 year celebration of Australia’s biggest youth surfing festival. Thank’s BL - see you on the beach! 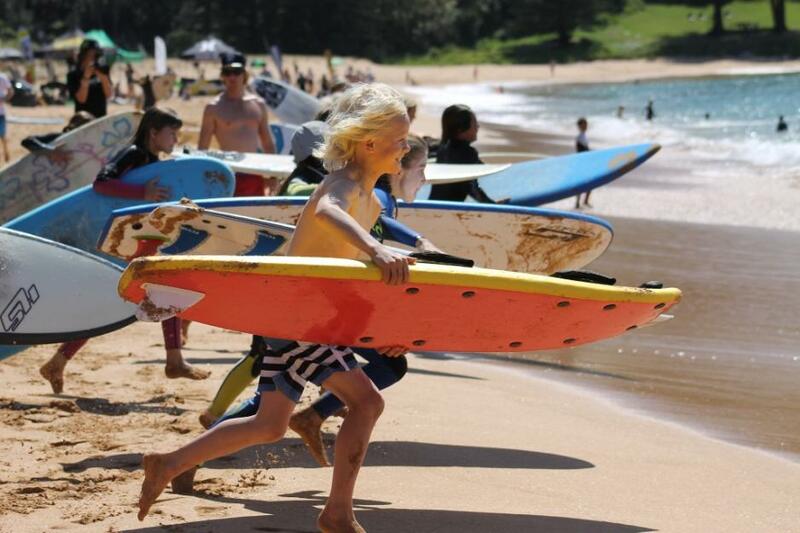 Hurley BL's BLAST OFF is Australia's largest youth surfing development event run by former World Champion Barton Lynch. 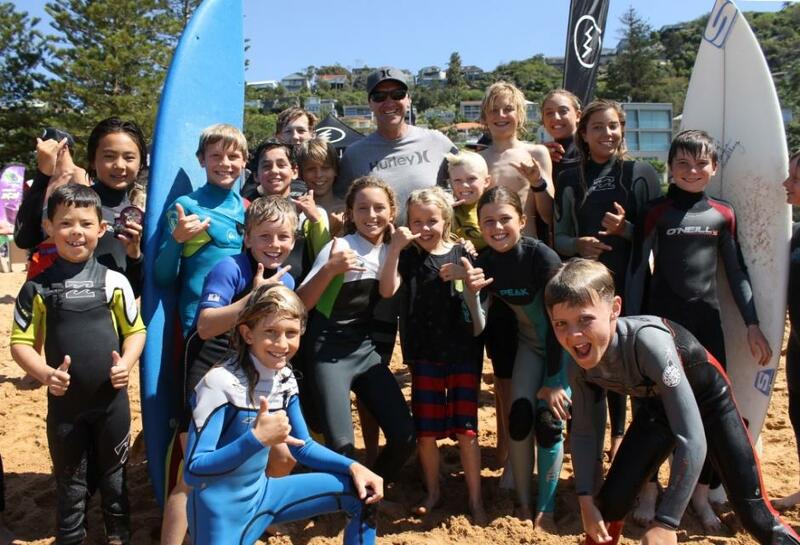 The aim is to introduce young surfers to the world of competition in a friendly and encouraging environment that focuses on surf improvement and family fun. Major sponsors include Hurley, Beecraft, Amazon Power, Health Space, Streetboardz, Beach Without Sand, Coastalwatch.com, Fuel TV, Surfing World Magazine, Perfect Wave Travel Co, Go Pro and Stacey Surfboards. In 2015 the 10th BL Blast Off will run from Monday September 21st to Thursday September 24th at Palm Beach, Whale Beach or Avalon Beach NSW. ENTRIES ARE NOW OPEN for the 2015 Hurley BLs BLAST OFF presented by beecraft . Spaces are already running out so get in quick. If your division is full make sure you put your name on the wait list as we could have the opportunity to balance out full divisions with those that don't fill.